In a follow-up to earlier reports of a gastroenteritis outbreak in Zamboanga City, Assistant City Health Officer Dr. Kibtiya Uddin disclosed on Monday that a total of 1,538 cases of gastroenteritis has been admitted in 11 hospitals in Zamboanga City from March 28 to April 29. Most acute gastroenteritis (AGE) admissions were documented at ZCMC (386 cases), WMMC (217 cases), ZamPen (209 cases), Zamboanga Doctors Hospital (203 cases), Ciudad Medical Zamboanga (194 cases), Brent Hospital (147 cases), and the Mindanao Central Sanitarium (144 cases). 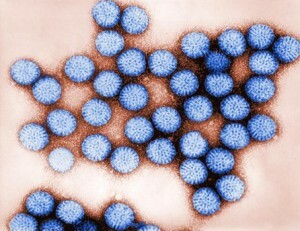 While it’s been reported previously that the outbreak was due norovirus, local media reports the Department of Health (DOH) has clarified that rotavirus, not norovirus was responsible for the AGE outbreak. Dr. Maria Agnes Mabolo, DOH-Zamboanga Peninsula local health support division chief, said the main contaminant of rotavirus was the water drank by patients. Mabolo disclosed that 65 percent of the 30 water samples they collected for laboratory analysis turned out to be contaminated with human or animal feces. The City Health Office continues its campaign and advocacy for consistent hand washing and good hygiene as the core preventive measures for gastroenteritis. The City Health Office is also in discussions with the Philippine Health Insurance Corporation and hospitals in the City for the possibility lowering the minimum confinement days for diarrhea from three to two days in order to free up hospital beds.